Greta Gerwig has been keeping a secret. Someone noticed something different about the writer, director, and actress as she strolled through Manhattan with her partner Noah Baumbach on Tuesday. According to Page Six, they were pushing a baby carriage — with a baby in it! From this bit of intel, inquiring minds deduced that a new baby had in fact arrived, and that this baby was in their care. 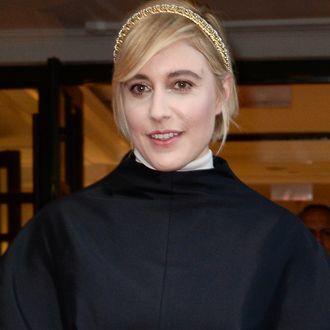 “We can confirm that Greta Gerwig and Noah Baumbach have welcomed their first child together,” a rep for the couple confirmed in a statement to the tabloid. Meanwhile an “insider” told Extra that the child is a boy, but let’s not get ahead of ourselves.